Picking a blush is a very tricky thing for most girls. You do not want to look like a clown with pink cheeks. The art of choosing the right blush and applying it in the right way is very important. A blush is a very important step in makeup as it can add that perfect touch of color to your cheeks and help in brightening up your face and it renders a healthy glow to your face. Finding the right blush is the trickiest thing, it is just as challenging as finding the perfect foundation. How do you choose the right kind of blush for your face? The key factor while choosing a blush is that you need to make it look very natural and subdued. Second factor is taking your complexion under consideration. 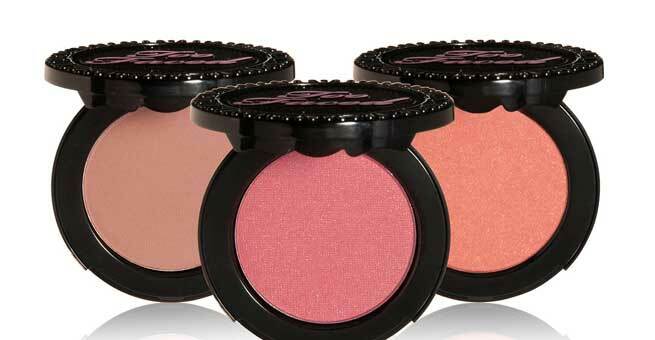 You need to pick up a blush that complements your skin tone. A person with a fair porcelain complexion should pick up a light blush shade. A peach or pink blush would be an ideal choice for such skin tone. Now for the girls with medium skin tone: Such kind of skin tone will look good with a deep peach shade as well as rosy pink shade. For darker skin tone the right color shade is rose color or deep orange color. Once the blush is applied, apply highlighter on your cheekbones and blend it well with the blush. Just make sure that the highlighter has to be used sparingly because a natural look is what we require. There are several types of blushes available in the market today. We have powder, cream, gel and liquid blush available in the market. Powder blush is best for normal as well as oily skin. The best thing about a powder blush is that it will not slide down the cheeks and it best to use in summer. Cream blush: If you have dry skin then cream blush is best for you. Cream blush has a hydrating effect on the skin. It is good to be used on mature skin as it will make you look younger and does not form wrinkles and fine lines. Liquid blush: Liquid blush and gel blush are very good if you want a long lasting effect. If you are a working women gel blush is best option. 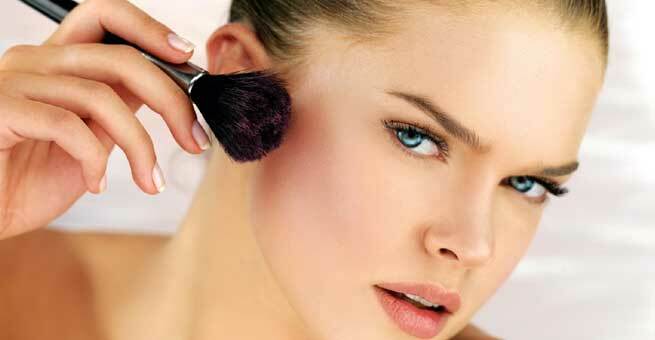 Blush applicator: The tool with which you apply the blush is very important. The tool that you need to apply the blush will depend on the kind of blush you are using. Powder blush should be applied with the help of a brush preferably with an angled blush brush or else with a regular wide powder blush. The best way to apply cream blush is with a medium- sized flat brush. Gel as well as liquid blush is best applied with your fingers or with the help of a synthetic make-up wedge. Oval faces: Oval face is considered to be the best shape and can simply apply the blush just on the apples of cheeks. Just smile and apply the blush on the cheeks and blend well and you’re ready. Round faces: The idea here is to make your face look slimmer. So apply the blush on your cheekbones and blend it outwards and upwards towards the temple. Square faces: The target is to soften the sharpness of the face with the blush. Therefore apply the blush across your cheeks starting from an inch away from the side of your nose. Long faces: Here again the target is to soften the face, hence apply the blush below the cheekbones. Heart shaped faces: The idea is to balance the face, hence apply the blush below the apples of your cheeks and narrow it down as you approach the hairline. Finish the blush application by applying the translucent powder on top, this will lock the blush and give a good finishing look.